Accademica Hotel lies in Bologna’s historic centre and is one of the few properties to offer an internal car park at a price of €15 per night. We will gladly give you all the indications to enter ZTL (Limited Traffic Zone) without being fined and reach the hotel with ease. 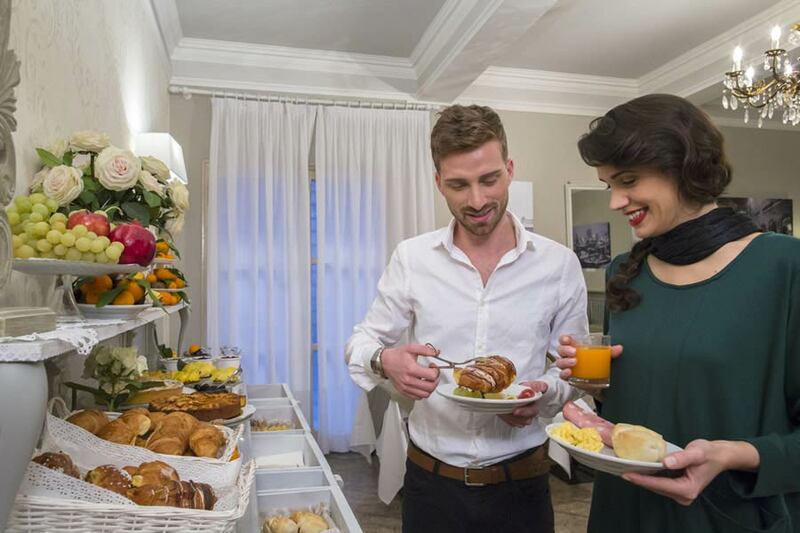 Staying here is a pleasure: waking up, sampling a rich and tasteful breakfast and then get out and find yourself in the city’s beating heart with no need to take the car. Every morning, our pastry maker prepares pastries, pies, croissants and other delicacies for a breakfast enriched by toasted bread, butter and homemade jams, cereals of all types, yogurts for all tastes, biscuits and the legendary Nutella .... We also add a few savory flavors offering deli meats and fresh cheese along with soft bread. You will always find scrambled or boiled eggs, fruit juices and fresh fruit. And when the orange season arrives, we put at our guests’ disposal even an orange squeezer to sample the real fresh orange juice every day. But our cornerstone are hot drinks, prepared on the spot at our bar and serviced directly at your table. A good espresso or American coffee? A foaming cappuccino or a dense hot chocolate? A Breakfast tea, an Earl Grey, a green tea or a berry tea infusion? You will be spoilt for choice. You will have a chance to choose between whole, skimmed, soy or lactose-free milk. If you need to eat breakfast with gluten or lactose-free produce, you will find whatever you need. All your morning whims will be satisfied!